A total solar eclipse will take place in the USA on 21st August 2017 with maximum eclipse point at 14.40hrs or 2.40pm for Washington. 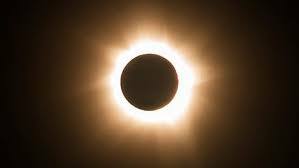 The total solar eclipse occurs when the Moon completely darkens the disk of the Sun. On that date, people across the USA will see the Sun disappear behind the Moon, turning daylight into twilight, causing the temperature to drop rapidly and revealing massive streamers of light streaking through the sky around the silhouette of the Moon. On that day, America will fall under the path of a total solar eclipse*. 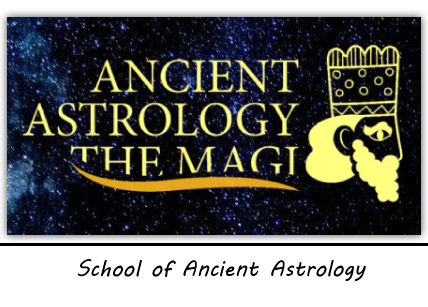 The purpose of this article is to investigate from the point of view of the ancient Mesopotamian astrology and the ancient omen theory**,***, what this eclipse will bring and cause to America and the world in a short and long terms. Before starting this analysis, let’s explain that the perception of the lunar and the solar eclipses is that they do have negative effects on the countries they have impact on. There is no evidence, whatsoever, that an eclipse can have a positive and fruitful impact on anyone and on any land. 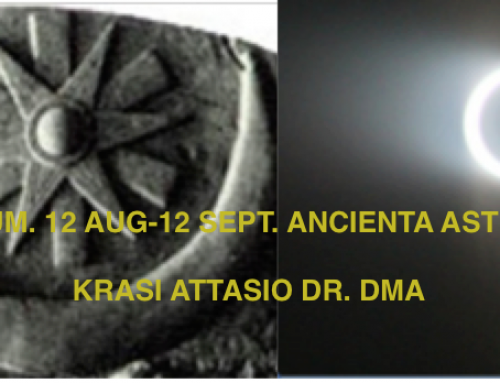 There is a part of the translated Enuma, Anu, Enlil (EAE) cuneiform tablets**,***, that states, that an eclipse can be positive for one country, if negative for the neighboring lands, but this is only a matter of perception of the international diplomacy. The solar eclipses were considered the most dramatic celestial events by the ancient cultures, even more dramatic than the lunar eclipses, because their negative consequences are having more powerful and longer influence. This is the chart of the total solar eclipse with the coordinates of Washington DC. Some of these elements can only be analyzed after the occurrence of the eclipse, and this will be the subject of the next research article. In addition, I will make use of the Babylonian Astrolabe***. The Astrolabe is an ancient circle sky map of Babylone, of 36 constellations associated with the 12 months of the year, divided into the 3 paths-sectors of the sky called the Paths of Enlil, Anu and Ea. The Astrolabe was used as a tool for observing and analyzing sky phenomena like the eclipses by the ancient astrologers priests. Before I analyze the above-mentioned elements in detail, I will read the eclipse horoscope. The total eclipse is seen as an exact conjunction of the Sun and the Moon in the 4° of sidereal Leo in the 10th house of the chart where the meridian (MC) is placed. The 10th house is about the ruling power of the president or the government of the country. Leo is the sign, that is typically about the power and represents the kings, the presidents, the rulers of a country, of a nation-the royal power. When eclipse, such powerful as this total solar eclipse happens in Leo, we should immediately seek a connection between the negative event and the ruling power of the king (the president). 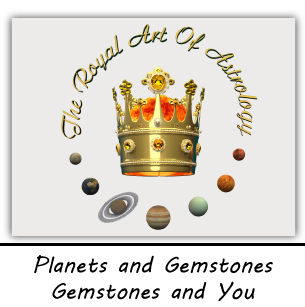 Moreover, the eclipse is taking place in Regulus, the fixed royal star, that shines in the heart of the Leo. The heart of the lion will “be hurt”. The heart of the king will be injured! The term of Jupiter is additional indication, that the king will be afflicted. The royal power, the ruling figure in the USA will suffer from the eclipse for certain, but since the phenomenon will take place in Leo not only for the longitude of America, we can expect that many governing figures will have serious problems, some will even die. 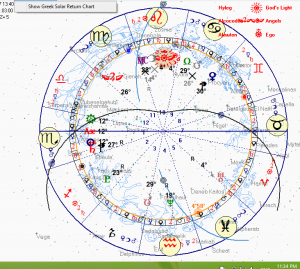 On the personal horoscopes, the solar eclipse could possibly have negative impact on the people with sidereal Leo on the ascendent or with Sun and Moon in Leo. This natural phenomenon could cause them some health issues, challenges in the personal life or/and bad luck chain of events. The better the visibility of the shadows of the eclipse, the worse the impact on the personal horoscopes it will denote. Astronomically it is known already, that the shadows of the eclipse will be all over North America and some other small parts of the world, including Europe. The most powerful and negative impact the total solar eclipse will have on America. The impacts on China or N. Korea, Iran and Europe, as you will see further in this analysis, will be secondary. Continuing with the horoscope of the solar eclipse, it is not to underestimate the position of the combust-invisible or dim Mars. Mars is too near to the Sun, and therefore is “burned from the rays of the Sun. Mars stands for the aggression, terrorism, war. 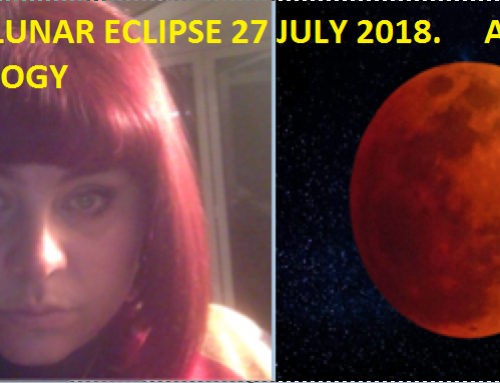 The ancient Babylonian omen theory** when reading such planetary events is that a benefic planet when bright indicates a good omen, when dim a bad one. Conversely, a malefic when bright signals a bad prediction, and when dim a (relatively) good one. Mars is malefic and dim. Therefore, we can consider his role not a relatively dangerous one, and will not directly be an indication of upcoming war. However, his appearance in about 20 days after the solar eclipse could bring any Mars-like related problems. Now, the first element of importance is, of course the date and the timing-month, day, and Watch. The timing of the eclipse and in which month and day Watch it is taking place, will determine which countries will be mainly affected from it. Explanation: The month of the eclipse you calculate when starting to count from the spring equinox sign six signs, because Leo is the sixth zodiacal sign. Then you end up with Ululu. The month of the eclipse is Ululu. According to the ancient scripts, Ululu corresponds to Elam. On our contemporary geographical data, Elam indicates China or N. Korea and Iran. To star of the month Ululu is Supa in the Path of Enlil***. When this star is involved, difficult times will follow for Elam and Subartu. Once again, Elam stands for China or N. Korea and Iran. The meaning is that China, Iran or the Asian countries of the neighborhood will be affected from the solar eclipse in a negative way. As a result of the day and the timing, we need to determine in which day or night watch the eclipse is taking place. The 28th lunar day corresponds to the ancient Akkad. For our contemporary world map, Akkad is represented by Europe. It is likely, that also Europe even though with less power, will experience the negative impact of the eclipse that will be visible over America. The place of the eclipse-Leo gives indication, that France will have the most negative influence from the European countries. This timing corresponds to the 2nd day Watch. Explanation: When you divide the day and the night into three equal parts you determine the Watches-three day and three night Watches. This eclipse happens during the 2nd day Watch. This means that the effects of the eclipse will follow not immediately after it takes place, can take about six months or one year until we start experiencing them gradually, and their duration will also be about one year or longer. Six months or one complete year of negative events that will follow up the solar eclipse and that will be noticeable by everyone on Earth. 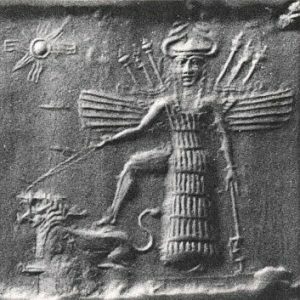 The 2nd day Watch according to the Babylonian astrolabe*** stands on The Path of Enlil-the northern path, and it will affect the northern star of the 6th month counted from Leo-the month Ululu. Explaination: As briefly explained above, since Leo is where the eclipse takes place, we will consider Leo as ascendent, and being the 6th zodiacal sign, we count to the 6th lunar month. So, we end up in month Ululu. 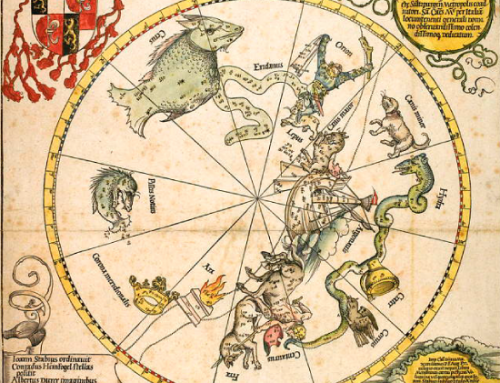 The star in the northern path of Enlil that will be affected is SU.PA*** –Ursa Major (the Great Bear). 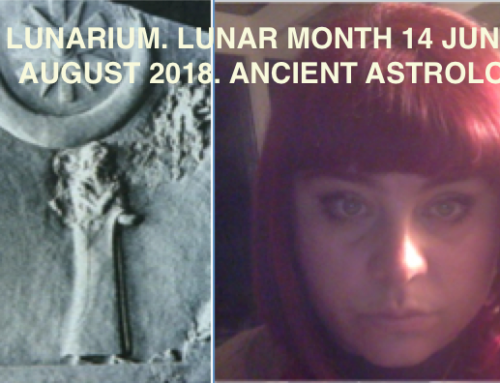 This is a very major star and will bring difficult times for Elam – China, Iran on the contemporary map, because, once again the lunar month of the eclipse is Ululu-the month of Elam. Every night watch, (there are three day and the three night watches), correspond to a country. 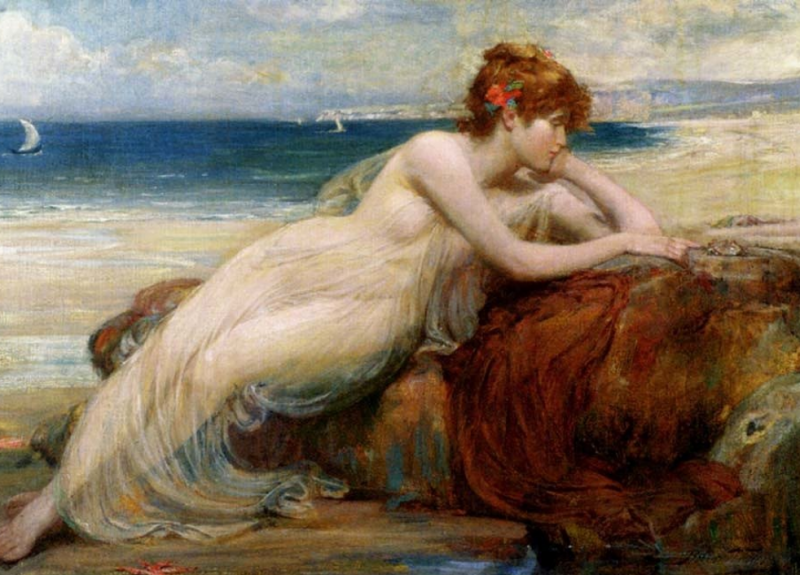 In ancient Mesopotamia the second day watch that I spoke about corresponded to Elam. On the contemporary world map, the second day watch corresponds to China or Iran or both. They will be affected from the eclipse. All directions point that the solar eclipse will affect very seriously America, China, Iran, and France. 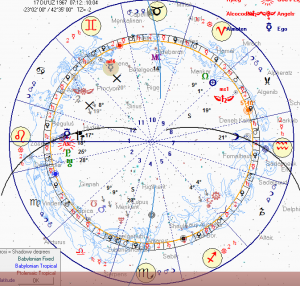 If in Ululu at noon the eclipse happens in Virgo, “the harvest will prosper, there will be hostilities”. The total solar eclipse will “dim”, darken his ascendant, because the rising sign of Trump is also Leo, where the eclipse will take place. The ascendant or the 1st house in someone’s natal chart is the House of Life is where his personality is encoded. It is a very bad sign, that the eclipse will darken the rising sign of the USA president. In addition, Mars in Trump’s natal chart is in the 3° in Leo. Only 1° further the eclipse will happen. Thus, Mars, who stands for his ambition, aggression, masculine power, motivation, will be “dim”, darkened from the eclipse. The Moon in the personal horoscope of Trump is in a phase of last crescent, which only after a year will become dim or invisible. This is the beginning of a hard period for him, which, in combination with the eclipsed ascendant, will certainly lead to difficulties of different character. This is not a good sign and shows that the president will be personally afflicted and seriously endangered, even defenseless in a way, in terms of presidential power and personal life, as a result of the negative celestial event. The total solar eclipse is a dramatic celestial event with heavy negative effects that will be felt in America for sure, and most probably in China, Iran and Europe in about a year or less after the event takes place. 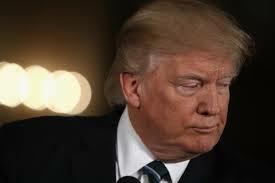 The presidential power or/and the life of Donald Trump will be seriously afflicted from the eclipse, and this will have negative consequences on America and the world in terms of security, economy and politics. Let’s not forget that about an year ago, as a result of the Earth’s precession and the movement of the summer solstice point, the humanity entered into a new mini-epoch, the one of Aries, because we entered a dodecatemoria of Mars. We will live in the Martian epoch for about 180 years and will experience everything that he has to offer-wars, aggression, diseases, emigration, teror. The solar eclipse in August will only be an additional factor to the difficulties, that the Martian epoch will serve us. The colors, the directions of the shadow and the prevailing winds of the eclipse need to be observed in the time of the celestial event in order to be able to give more detailed analysis on it’s impact on the world. 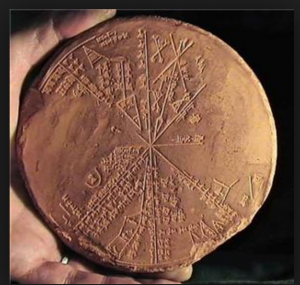 For the preparation of this analysis I used the knowledge of ancient Mesopotamia encoded in the Astrolabe and in the Enuma, Anu, Enlil cuneiform scripts translated into English and applied on the fixed Babylonian astronomical sidereal zodiac.